Thursday, December 13th 2012 was a special day in tourism history. This was the day that the UN’s World Tourism Organization (UNWTO) estimated that the 1 billionth international visitor for 2012 crossed a border and started their travels - the first time in history we have hit this mark in one calendar year. International travel is estimated as a $1.2 trillion part of the $6 trillion world wide tourism industry - and is growing at double digit rates in most parts of the world (source: Wourld Travel and Tourism Counci - WTTC, see below). Given the strong economic growth in many developing countries, the world's middle class is rapidly expanding and is expected to swell by over 1 billion additional people by 2030. Indeed by 2030, it is estimated by the UNWTO that almost 80% of the world's middle class will live in Asia or South America - reducing the dominance of North America and Europe in the world's travel industries and providing continued impetus for the growth of travel and tourism. Middle classes around the world aspire to many things - and one of these is the opportunity to travel. For this reason, predications for the future growth of international travel remain bullish - and will likely be one bright spot in travel and tourism, offsettting lactluster growth predictions for the next few years in the domestic US and Europen economies. However, the needs and demands of these 'new' international visitors will be quite different from "traditional" international markets. Meeting the demands of emerging Asian, South American and other developing international travel markets while at the same time managing this growth sustainably is the central challenge facing international travel and tourism over the coming two decades. Therefore, the one billionth international visitor on December 13th was also an opportunity to highlight this challenge and opportunity. 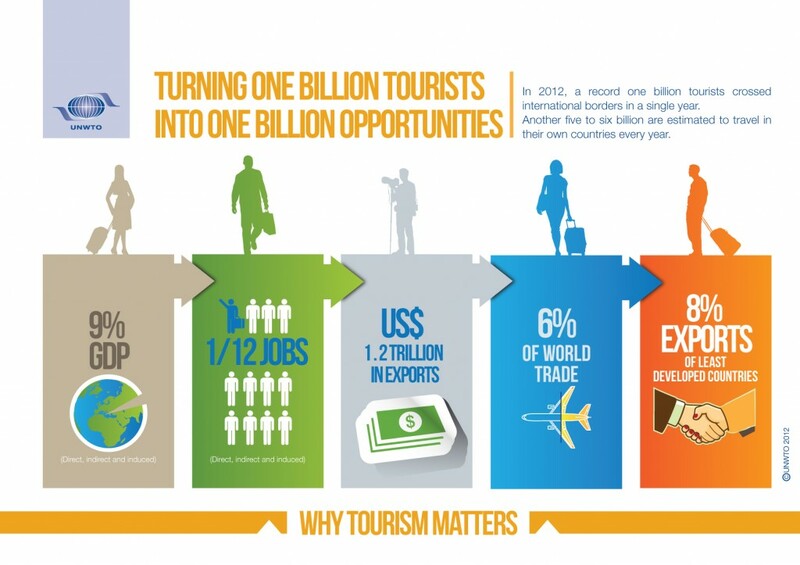 The UNWTO and WTTC have come together in a campaign entitled 'One Billion Opportunities' - highlighting the economic size and significance of global travel and tourism, and the opportunities with every individual visitor to travel in a responsble, positive and sustainable way. A web site and social media campaign (see below) invite users to vote on the most positive way to travel responsibly. Buying local goods was voted as the most meaningful action any traveler could take ahead of respecting local culture, protecting heritage and saving energy. Rather than big policy changes or industry shifts towards sustainable practices (which arguably are also urgently required in the coming years) the campaign seeks "one billion small actions, one very big impact". Such small, meaningful actions is one thing that hopefully everyone, from industry members to politicians, can agree on. Miles has in its own way been helping promote responsible travel messages - with its support of the Center for Sustainable Tourism's US Travel Care Code - which is being relaunched in early 2013. More on this in future blogs. One Billion Opportunities Facebook Page "Faces of the One Billion"